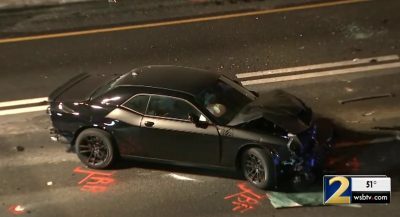 Update: We contacted Fiat Chrysler Automobiles to get their side of the story and just received a response. 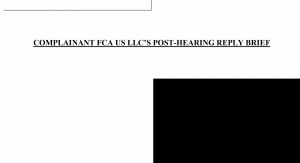 FCA also sent Carscoops a copy of the company’s U.S. International Trade Commission’s post-hearing reply (see it in the gallery), in which it argues against the point made in the brief used in the reports coming out of India . 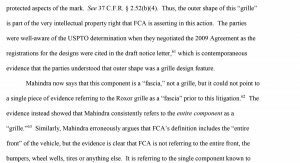 “Mahindra has failed to carry its burden in showing that all of FCA’s claims fall under the narrow scope of the 2009 Agreement. The Investigation against Respondents should therefore proceed. 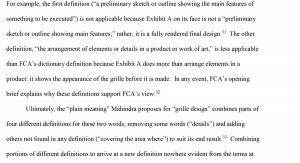 In plain English, FCA says that the reports coming from India are falsely portraying specific findings in a post-hearing reply brief from one side (Mahindra) as either a final court decision or as a strong sign that the court will side with the Indian carmaker. 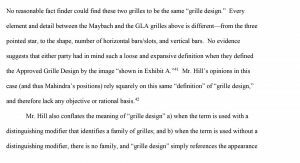 In the same way, one could use the post-hearing reply brief from FCA to make the opposite case. Palese told us that FCA expects a final decision to be made this month. Mahindra is allegedly inching closer to being able to sell the Roxor off-roader in the United States following an investigation from the US Trade Commission, according to several Indian news outlets, including Moneycontrol and AutocarIndia.. 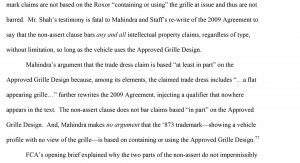 The team from the US Trade Commission was investigating claims from FCA that the Mahindra Roxor violated its intellectual property rights. 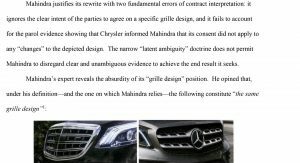 In the beginning of August, Fiat Chrysler Automobiles (FCA) filed a complaint against Mahindra & Mahindra and its subsidiary Mahindra Automotive North America claiming the front grille of the Roxor infringed the company’s intellectual property rights as it closely resembles the grille as the Jeep Wrangler. 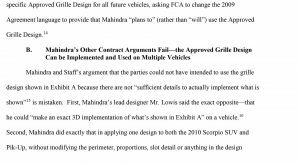 According to the reports [note – we’ve now learned this is from Mahindra’s post hearing reply brief], the investigation from the US Trade Commission staff said that FCA is now “contractually barred from pursuing this investigation,” any further. 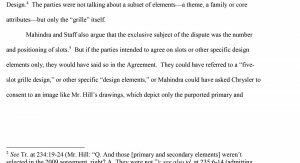 “The Commission Investigative Staff believes that Mahindra & Mahindra and Mahindra Automotive North America, Inc. met their burden of establishing that FCA US LLC is contractually barred from enforcing its intellectual property rights against Mahindra’s importation of the accused vehicle,” said a statement from the Staff. 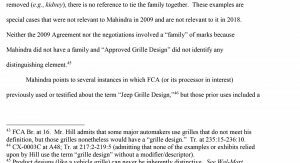 “FCA is contractually barred from pursuing this investigation if Mahindra’s vehicles contain or use the approved grille design. 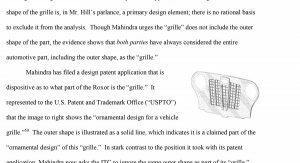 The evidence shows that Mahindra’s Roxor uses the approved grille design. 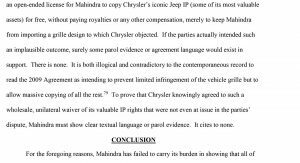 Thus, the record supports a finding that Mahindra met its burden of proving by a preponderance of the evidence that FCA is contractually barred from pursuing this Investigation,” the statement added. 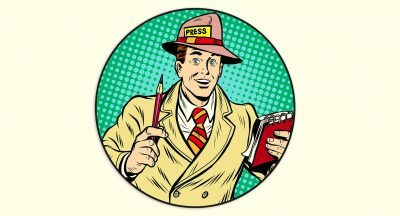 If the U.S. Trade Commission accepts the investigative findings, then it will (likely) clear the Roxor for sale in the States. 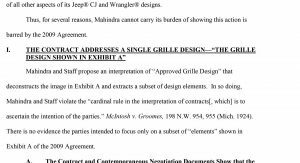 The case heated up a month after FCA filed its complaint in August, as Mahindra fired back, saying the Jeep brand owner’s complaint was “without merit” and commenced proceedings in a Michigan court to enforce a design agreement that it signed with Chrysler in 2009. 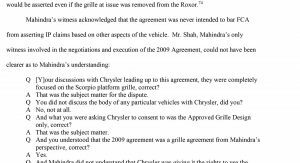 This 2009 agreement arose from a disagreement between Chrysler Group LLC and Mahindra after the Indian company planned to import vehicles to the U.S. with a seven-slot grille design. 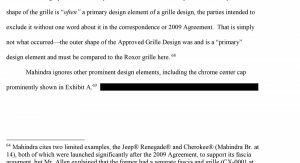 Chrysler asserted that this design was confusingly similar to Jeep’s signature grille design. Over the course of 12 months, the two went back and forth until Mahindra agreed to instead use a grille design with five vertical slots. 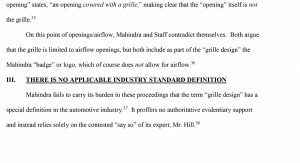 As part of the finalized agreement, Chrysler said it wouldn’t oppose Mahindra selling vehicles in the U.S. that use the five-slot grille. 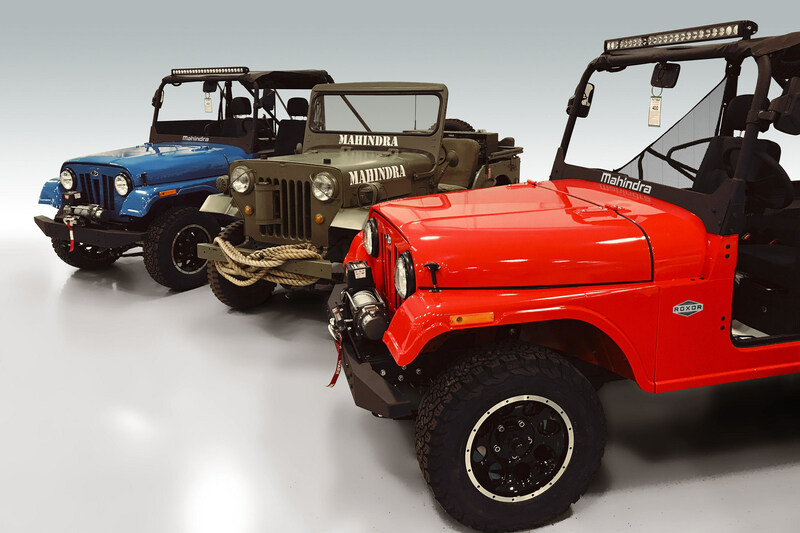 While FCA had claimed that the Roxor could hurt its sales of Jeep models, the Roxor isn’t actually street legal in the U.S.
I’m not sure why I find it hilarious the one picture with Goodyear Wrangler tires on the Mahindra. I guess it’s the irony of it. 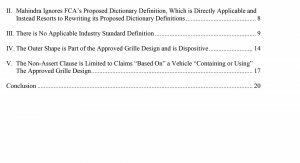 On another note, I think FCA is being stupid to oppose this considering it’s not even street legal and most likely is not as capable as a regular Wrangler. 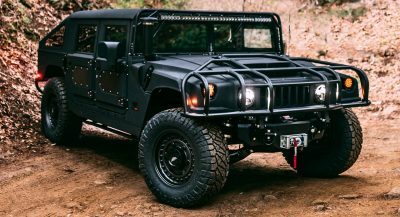 What they should be scared of is if Suzuki brings the Jimny here to the U.S. or Ford with their Bronco or Toyota if they make their FT-4X concept a reality. Worry about those things, Jeep. I think the Ford Bronco is their biggest fear. Its an established model nameplate with a lot of hype behind it. That’s a sweet looking golf cart. Sad, the team from the US Trade Commission is obviously corrupt. Its plain to see to anyone’s eyes the design similarities. 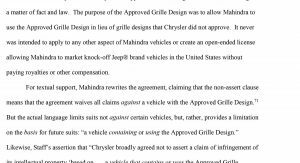 Nothing sad about US TC realizing that Mahindra and Chrysler LLC came to a previous agreement and FCA is now trying to set that aside. From the front, it does resemble a Jeep but from the side I instantly think of the original Willy’s design. The looks and size are way off for a modern Jeep. 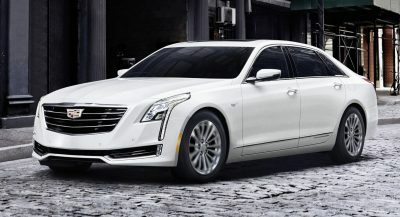 Add the fact that it’s not street legal in the US and any trade mark concerns are moot. 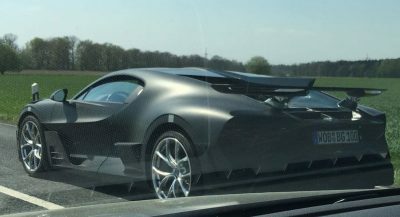 Mahindra got the right from Chrysler to sell this design. 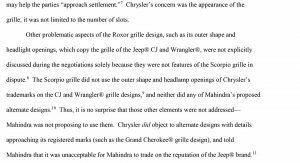 FCA is just denying what Chrysler did. 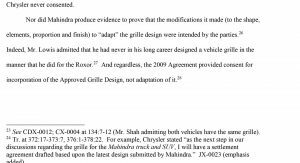 Excellent news that the courts did not ignore the obvious rights that Mahindra has to use this design, as they have for many years. This is a good decision. Seems pretty cut-and-dried to me. 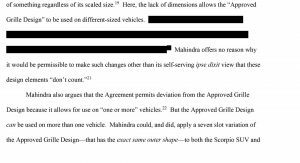 Mahindra lived up to their end of the agreement. So the issue isn’t settled then. 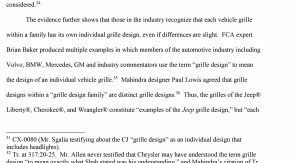 unless FCA plans to make the willys again… they are clidish. 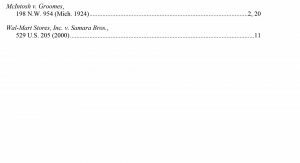 I read somewhere that costumers will be able to import it only but not registering it. Which if fine considering we most likely want to use it off-road. Does Mahindra comply with US emission and safety standards? I think no, so it can’t be sold in the US. If sold for off road use only, it doesn’t have to comply with on road emissions. I don’t see a market for it.Only people making money will be the lawyers. If a mahindra was outfitted for street legal use i would be interested. Better quality than a jeep me thinks. As someone who has been in one of Mahindra’s pickups when they were trying to sell them in the US around 2010, I can tell you that you’re very very wrong. I’ve been in 1980’s Hyundais (literally) that had FAR better build and material quality than that Mahindra. Miscut carpet/floor coverings, door pulls that felt like they were going to come off in your hand, fit and finish issues galore, and it felt like a product designed for a third world country. It really did feel like a tractor, but with worse build quality. There’s a reason why it failed miserably and didn’t make it here. 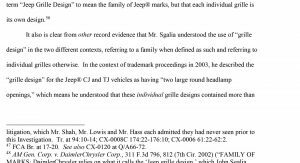 If Jeep are worried that an unregisterable clone of a CJ model is going to hurt sales of the JL then what does that say about their confidence in their own product…. That is one seriously overprived offroader. Better off getting a polaris or something similar. How quickly people will accept any pos if the price is right.